The purist form of sincerity is a grandparent’s love. I was put to the test when my granddaughter was about four. 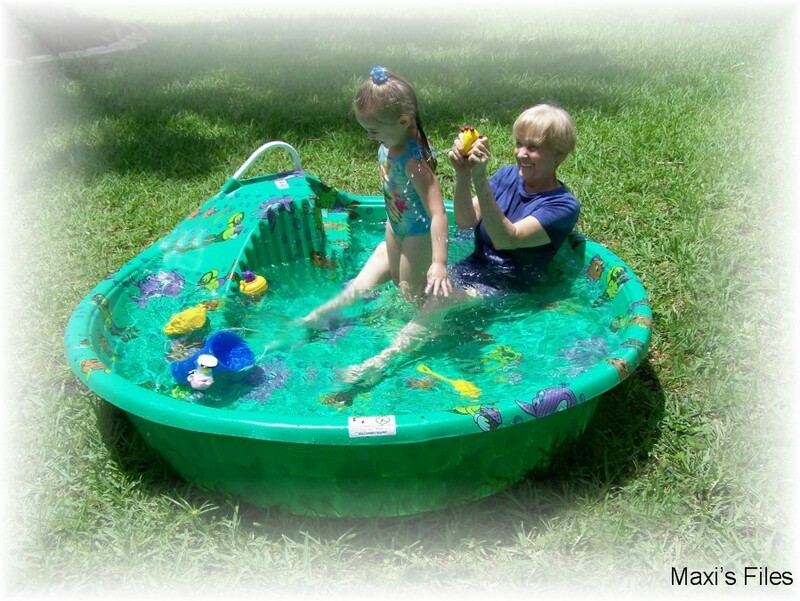 Her Grandpapa had set up a little pool in the yard and Brittany was having a great time, only she decided it would be more fun if I got in with her. “You can get in even if you do have your clothes on Grandmommy,” she grinned. “Yes, I can,” I laughed … and jumped into the pool. Brittany is now seven; still we laugh about how much fun we had that day. There is another seven-year-old girl who was in her swimsuit one day having a blast with her grandparents. They live right here in my state of Florida in the USA. Only Paul and Belinda Berloni landed in the poky after a day of hootin’ and hollerin’ with their granddaughter. Their little angel had a Hot Wheels car and grandma and grandpa came up with a great idea. 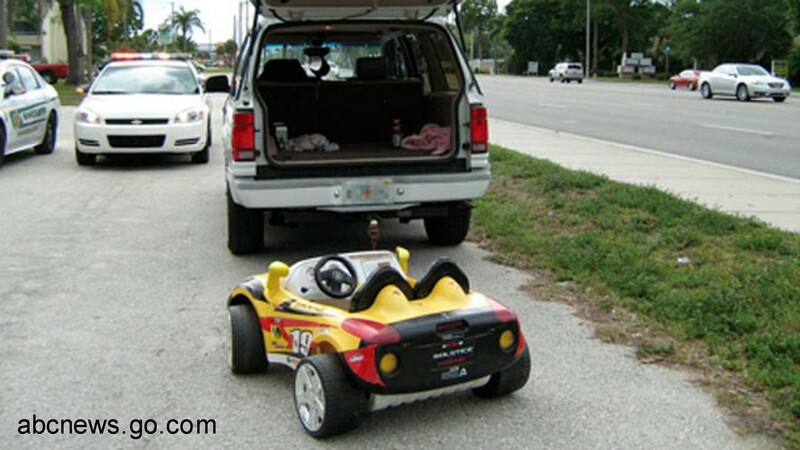 They took two of the dog’s leashes and tied them together, than hooked one end over the trailer hitch of their SUV and latched the other to the toy car. Grandpa was driving and grandma was in the back cheering as they rolled up and down the street. Now they were only going 5-10 miles per hour, but here’s the problem. The granddaughter wasn’t wearing any protective gear, aaaand the grandparents had been drinking. A neighbor was peekin’ through the blinds at this fiasco and called the police. I don’t question the sincerity of their love, yet one must give a second thought to any common sense in this scenario. Guess the grandparents had some time to think it over inside the confines of a cell and a cot. This entry was posted in people and tagged Brittany, Driving under the influence, Florida, Grandparent, Hot Wheels, Paul, Sport utility vehicle, United States. Bookmark the permalink.